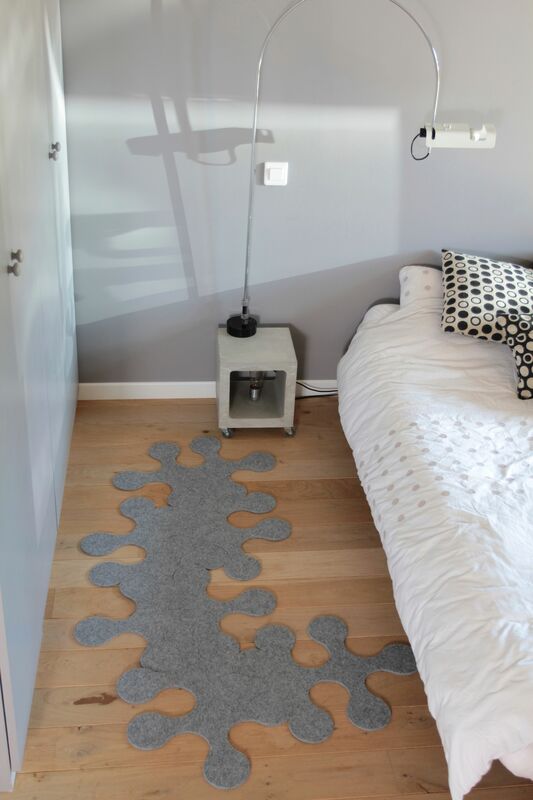 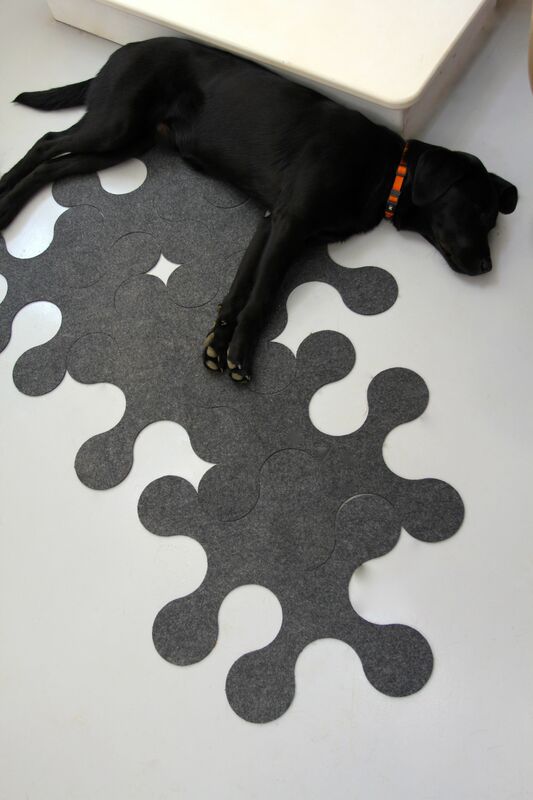 Rugs comprised of various puzzle-shaped pieces. 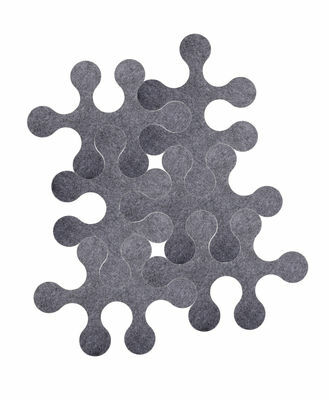 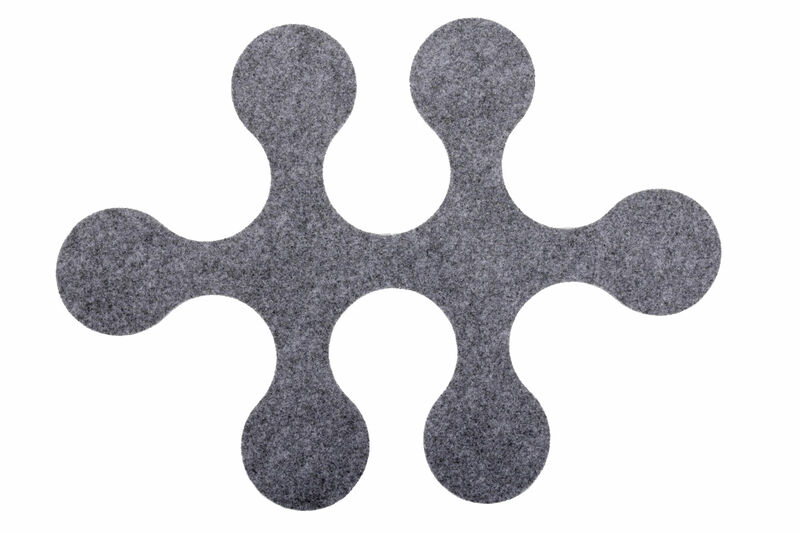 100% recycled felt (6, 12 or 24 pieces of solid colours: light grey, anthracite, orange and fuchsia). 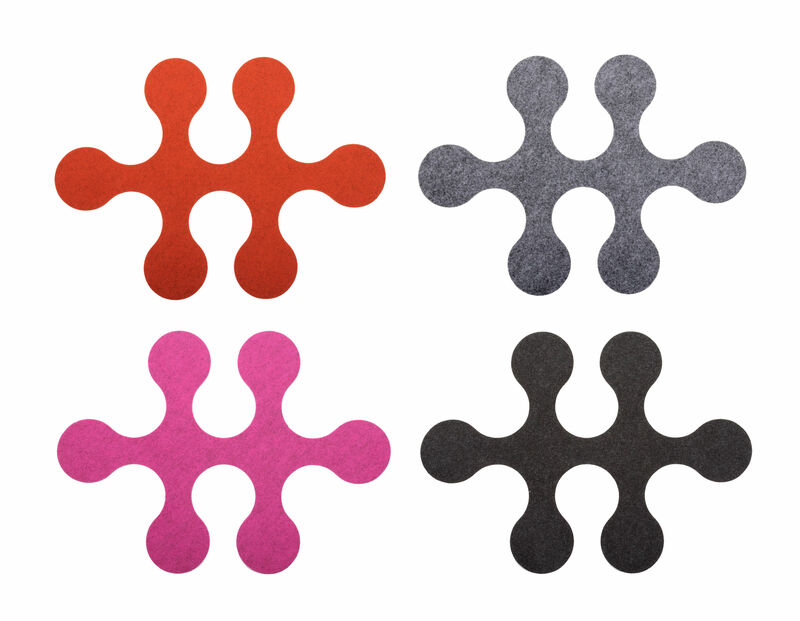 These pieces can be nested in every direction for a multitude of possible combinations.